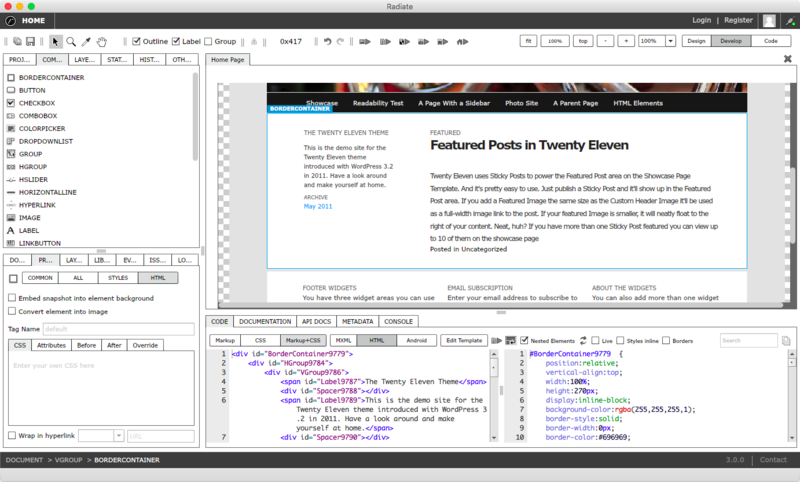 Radiate is a professional design and development application used to create, assemble and rapidly prototype designs, layouts, themes and web pages in numerous web languages and technologies including Flex and HTML5. Radiate is open source. This product comes with example projects and one year of support. Read more about it here. Radiate helps you design and develop. This is a one time purchase of $99.95 on sale for $24.95. That's 75% off. AceEditor component for AIR and web is a AS3 class integrating the high performance Ace Editor. Ace Editor supports over 110 languages and over 20 themes. Using this component you can drop in syntax highlighting seamlessly into your Flex application on the web or in your AIR based application. Ace Editor component and Ace Editor is open source. You can easily add new features and pull requests. This product comes with example projects and one year of support. Read more about AceEditor here (https://ace.c9.io/). Support contract for 1 year of service and support for AceEditor component for AIR and Flex web projects. Comes with example projects that run in the browser or AIR. 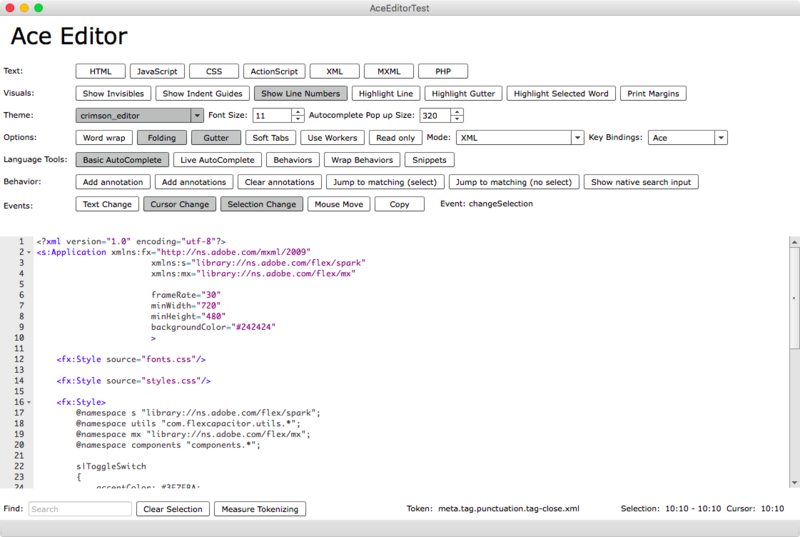 Ace Editor is an a high performance code editor for the web. The AceEditor component wraps the functionality up for use in Flex projects. More info on the AceEditor here (https://ace.c9.io/). 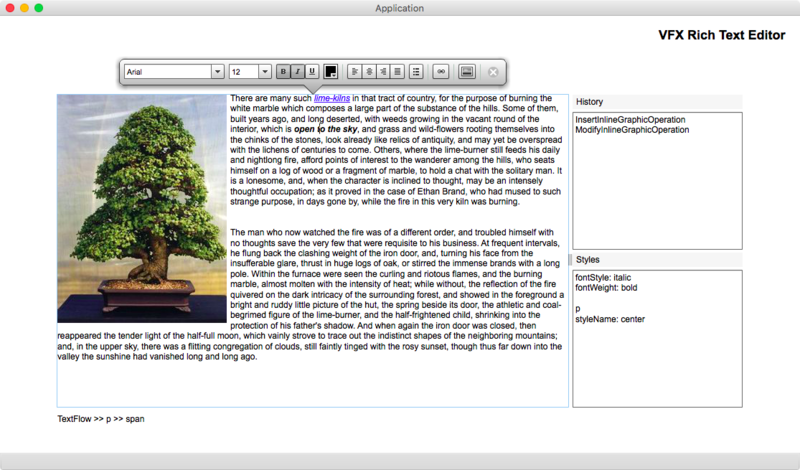 VFX RichTextEditor component for Flex adds rich text editing to your applications. Add it to your application and display a rich text editor to your text area or in a pop up. Multiple familiar styles and skins are available. Based on TLF and FTE you can add pixel perfect rich text support to your applications. In additional to traditional formatting VFX adds support for adding images, setting image float, selecting inline images, adding links, setting link target, adding numbered bullet lists, selecting elements by tag name with breadcrumbs and more. VFX Rich Text Editor is open source. This product comes with example projects and one year of support. Support contract for one year of service and support for RichTextEditor for Flex projects. Based on the TLF framework this component adds a RichTextEditor. It supports adding images, selecting images, adding links, visible in a pop up, numbered or bullet lists, example projects and more. 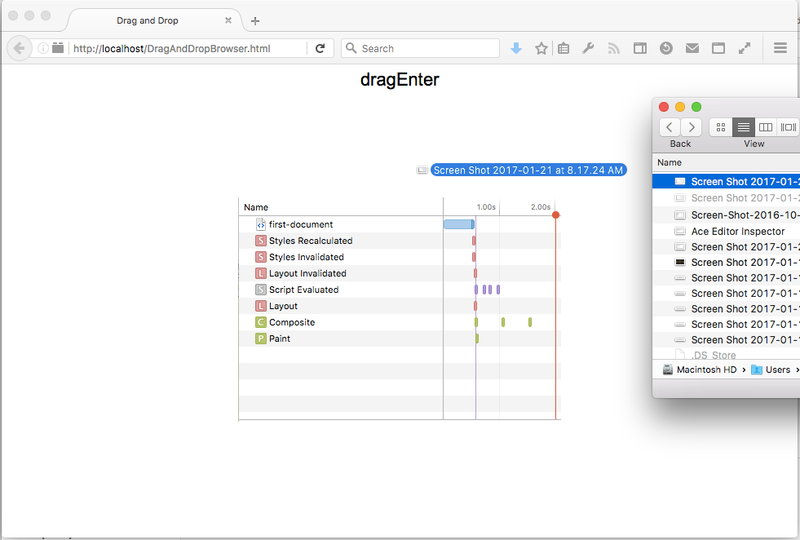 Drag and Drop Handler adds drag and drop support to your web based Flex application. Drag images and other media into your Flex application and view it immediately. Drag and Drop Handler is open source. This product comes with example projects and one year of support. Add drag and drop support to your web based Flex application. Drag images or other media to your Flex application in the browser and view it immediately in Flex. Contains example projects and one year of support. Want to notify your users from the browser of new updates? 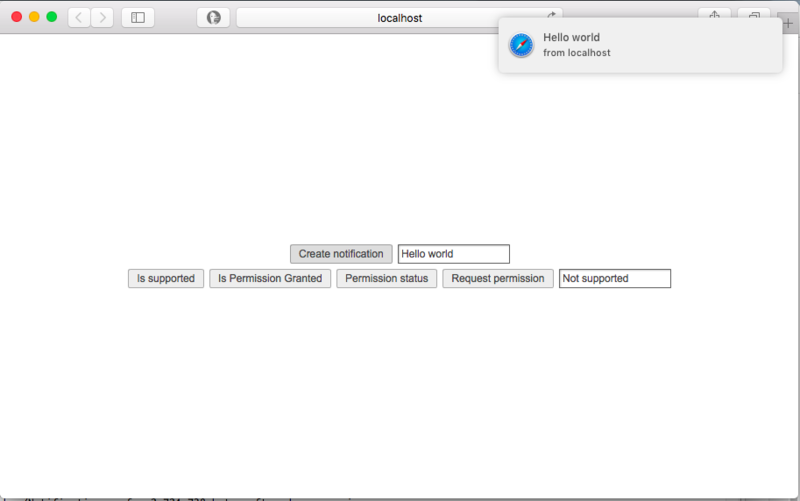 Use the Web Notifications class in your AS3 or Flex application. Web Notifications is open source. This product comes with example projects and one year of support. Add web notifications to your web based Flex application. Request permission, show new updates and more with Web Notifications. Contains example projects and one year of support. WordPress is the most popular blogging and CMS platform in the world. With the WordPress Services component for Flex you can now connect your Flex or AIR app to a WordPress site. With calls to register, login, post, update, upload, custom data and more you will have a powerful method to add and receive data. WordPress Services component is open source. This product comes with example projects and one year of support. Connect your Flex application to WordPress. With a few lines of code you can connect to a WordPress website and perform register, login, post, update, upload and more. Use WordPress as a CMS with custom field support. Contains example projects and one year of support. Create a snippet site for your users with this starter project. Using this starter project you can save and store snippets using the most popular blogging and CMS platform in the world. Obfuscate the URL and load snippets on page load. Show a list of the most recent content or filter to specific content. The Snippet Site Project is open source. This product comes with example projects and one year of support. 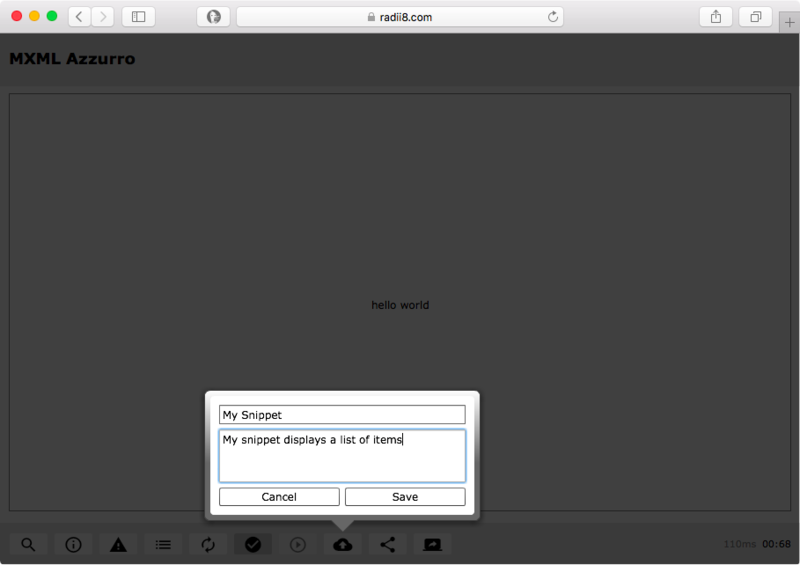 Create a snippet site or app for your users with this starter project. Using this starter project you can save and store snippets using the most popular blogging and CMS platform in the world. Obfuscate the URL and load snippets on page load. Show a list of the most recent content or filter to specific content. Requires Flex or AIR and WordPress. Additional software products for sale by the same author is listed at Velara 3.